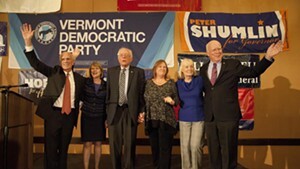 Congressman Peter Welch (left) joins Sen. Bernie Sanders (center) and Sen. Patrick Leahy (right) and their wives at an election night gathering in 2014. 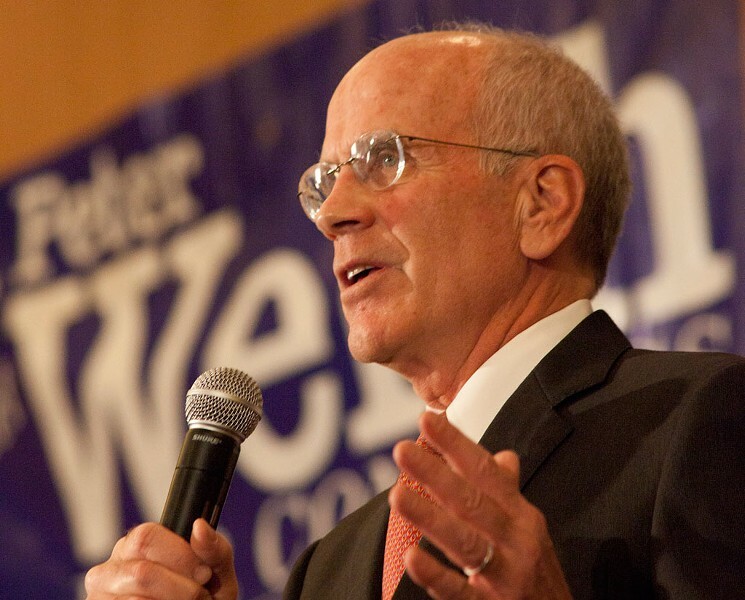 Congressman Peter Welch (D-Vt.) broke his silence Friday on whom he will support for the Democratic nomination for president. It's Sen. Bernie Sanders (I-Vt.). 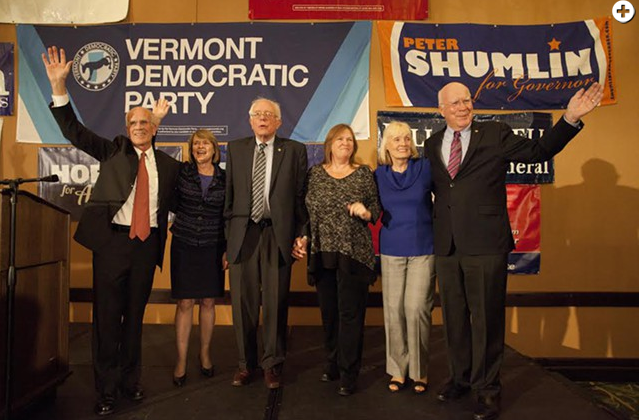 Welch was among the few top Vermont Democratic leaders who had declined to choose between his home-state senator and former secretary of state Hillary Clinton. On Vermont Public Radio's noontime "Vermont Edition," a caller asked Welch about his stance as a superdelegate to the Democratic National Convention later this year. That prompted Welch to reveal that he will vote for Sanders in Vermont's March 1 Democratic primary and will vote for Sanders as a superdelegate to the Democratic National Convention later this year. Welch had stopped by Sanders’ campaign kickoff in Burlington in May, but explicitly steered clear of endorsing either Sanders or Clinton, in contrast to other high-level Vermont Democratic leaders. 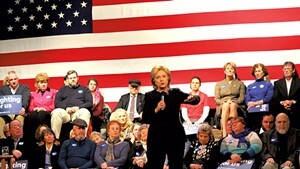 Clinton has the support of Sen. Patrick Leahy (D-Vt.), Gov. Peter Shumlin and former governor Howard Dean, who are also superdelegates to the convention. Former governor Madeleine Kunin, though not a superdelegate, also supports Clinton. Welch said he hadn’t told Sanders he would be backing him, and neither Sanders nor Clinton had lobbied him for his support. "I very much appreciate Congressman Welch's support," Sanders said, in a statement released by spokesman Michael Briggs. "We have been friends for years and have worked together on issues of great importance to Vermont. His support means a great deal to me." For Welch, endorsing Sanders is a safe political bet in Vermont, where the independent senator is likely to win the state’s primary. But as a well-entrenched member of Congress, Welch is making something of a statement by backing the upstart candidate. Clinton's presidential campaign, meanwhile, will mobilize in Vermont, starting Saturday with door-to-door campaigning in Burlington, Montpelier, Norwich and Bennington. Kunin will join the Burlington canvassing effort. Though Sanders is widely expected to win in Vermont, Clinton is hoping to snare at least some of the 11 delegates up for grabs in the March 1 primary, as Seven Days reported this week.